1. 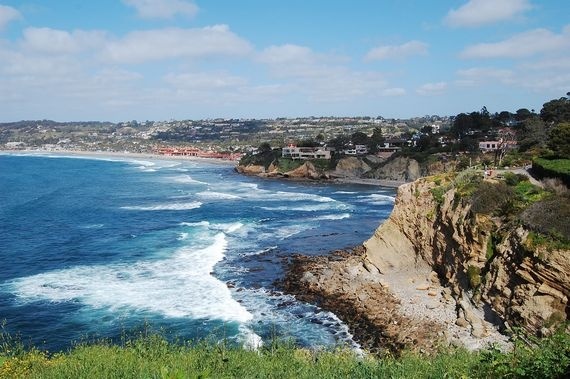 This was the view from the pretty hotel, La Valencia, where we stayed when visiting La Jolla, CA a few years ago. You can't tell but there are thousands of gulls perched on bird poop covered cliffs below. 2. Aren't these beautiful birds? 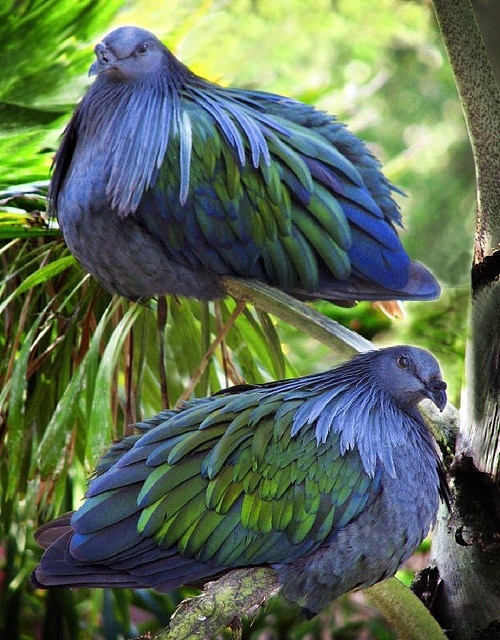 They are Nicobar Pigeons from the Nicobar Islands in Malaysia. is one of the easiest desserts to make. I skip the pie crust step and buy the Pillsbury one from the grocery. 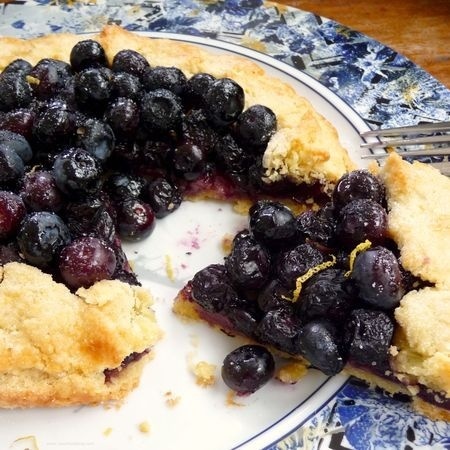 Most fruits will make a delicious crostata, just add flour, sugar and lemon zest. Ina's version is the link above, she included butter in the filling but I never do that. The thing about many of Ina's recipes (since I have been using her recipes more than ever this year), they are fattening! Need to be wary and adjust. 4. 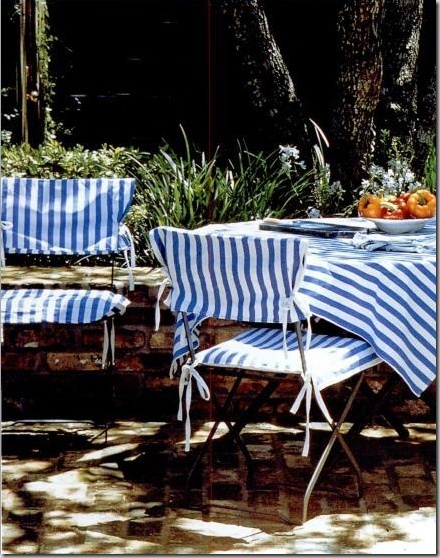 I love the look of Katrin Cargill's simple slipcovers and tablecloth on the lightweight metal patio furniture. 5. A beautiful watercolor by Luli Sanchez. Her work may be familiar as she has been commissioned by many retailers- Anthropologie, Ralph Lauren, Target, Kate Spade, Pottery Barn, West Elm, Crate and Barrel and others. 6. 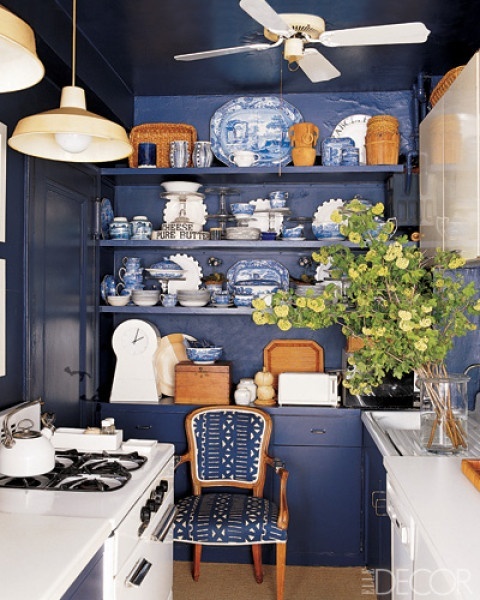 Fun to see what clever designers are able to do with NYC's tiny kitchens. 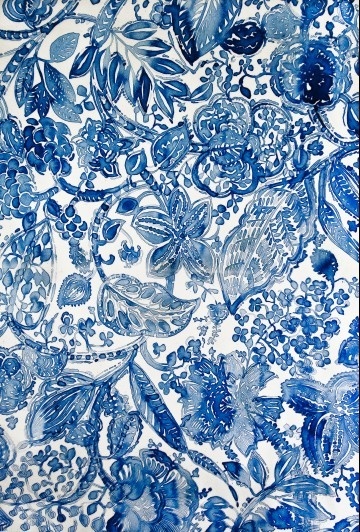 This one is by T. Keller Donovan (he does not seem to have a website), a fan of all things blue. He created a clever focal point wall of shelving that makes this kitchen completely charming. What a great shade of blue! 7. 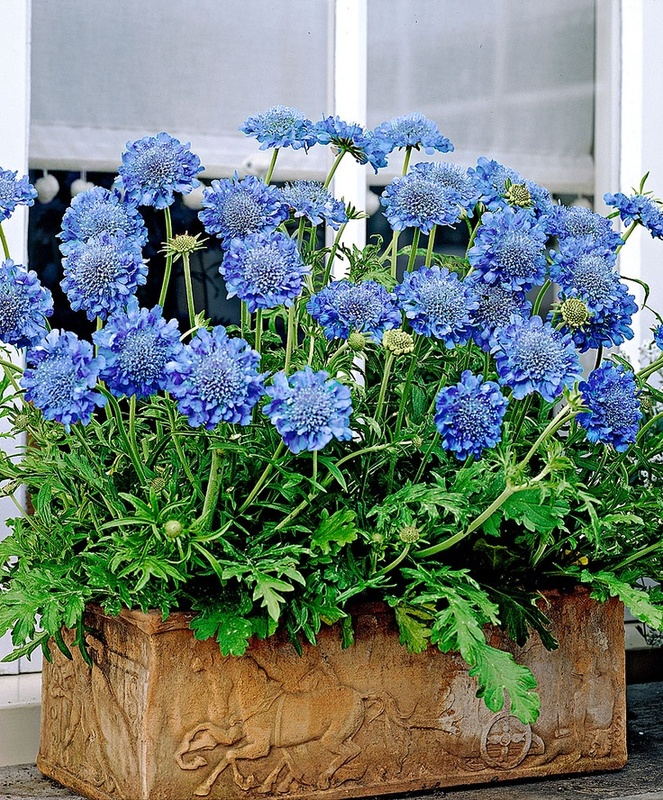 Scabiosa Japonica Blue Diamonds in a unique rectangular terracotta planter...LOVE! 8. Espadrille season is here! My favorite shoes everrrrr! Soludos and Drilley's have good ones. 9. 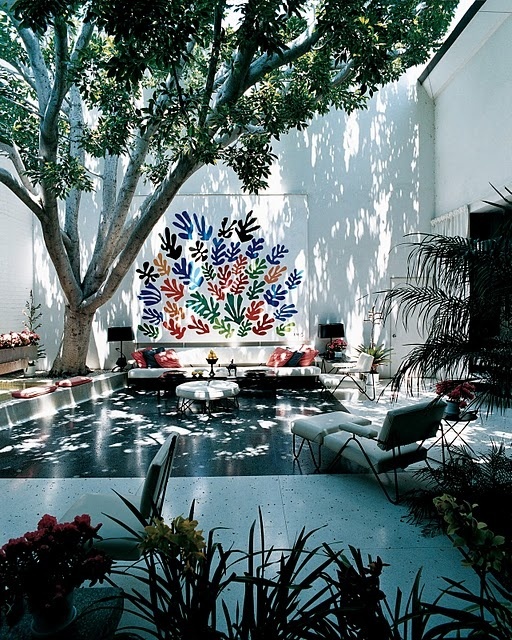 This Matisse tile work hung on the wall of a patio in the home of an art collecting couple in Los Angeles. It now is part of the collection of Los Angeles County Museum of Art. I cannot imagine a better pairing of artwork and environment. So chic! What are you liking this week? Ok, can we swap London pigeons for the Nicobar variety please! Beautiful blue collage. That Matisse is incredible! At first, I thought it was placed over a swimming pool. What am I liking this week? The rain! It's been so dry. Have you been watering your garden? Our gardens and street trees are finally getting a good soaking. Hi Cindy, I love your blue choices but I am crazy for that shoe source. Thanks for the link. I love blue flowers and have some Iris's in blue. 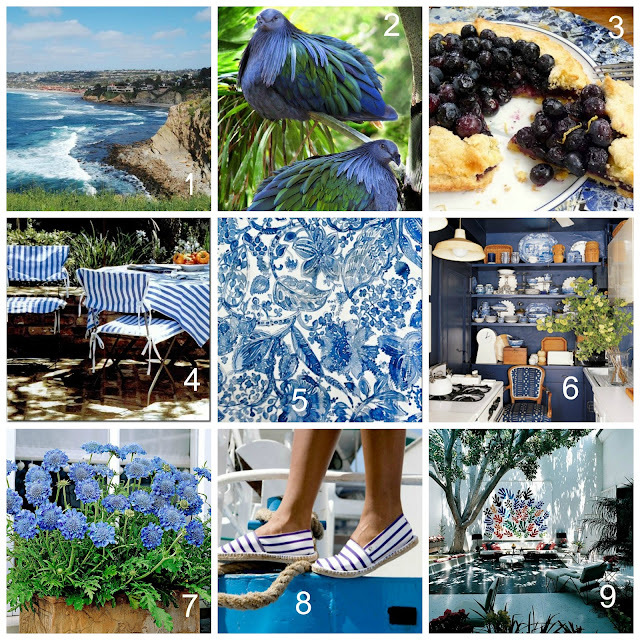 Love all that blue -- so peaceful and feels like the ocean, which is where I'd love to be right now! I've been to La Jolla and it's beautiful. So are those birds. I have a friend who may be traveling to Malaysia for work. The beaches there are some of the most gorgeous in the world.